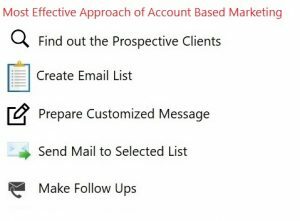 Account Based Marketing is common terminology these days among sales and marketing professionals. It is the type of marketing strategy that clearly targets the different set of accounts. It works on the basis of personalized campaigns. In account based marketing, the message is designed in such a way that it caters to the specific set of audience. ABM has become an effective method to increase B2B sales. Account based marketing is popular approach of marketing. It works on creating good quality content specifically attracting target customer. 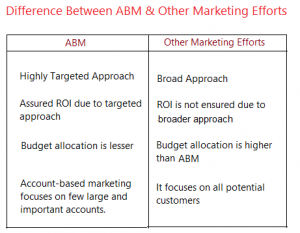 ABM ensures higher ROI in comparison to other marketing initiatives. It is the best method for companies looking for the specific customer rather than targeting to broader size of an audience. ABM is an effective method to target the specific set of audience in the limited budget as well. It helps in building a very good relationship with the target audience. Return on Investment- It offers the good return on investment as the target is specific customers only. In other advertising methods, you target broader level of the audience. In account based marketing, the target audience is defined. When you prepare personalized message, there are higher chances of conversion. Cost Effective- Account-based marketing is a cost-effective method to reach your target audience. It is an effective marketing strategy for the companies having the budget constraint. Result Tracking is Easy- Result tracking is easy in account-based marketing. Through account based marketing, you have to target a specific set of audience. You can track result very easily account to account specific. In account based marketing, you have to work on the smaller set of the audience instead of vast set of audience. Message Directly Reaches to Decision Makers- In ABM, a message directly reaches to decision makers instead of passing through various funnels. You should have the database of Key executives for executing the task of account-based marketing. Step 1 –Filter High Value Accounts- First find out the high value accounts that you want to target. You must have to find out the prospective clients that can bring business for you. 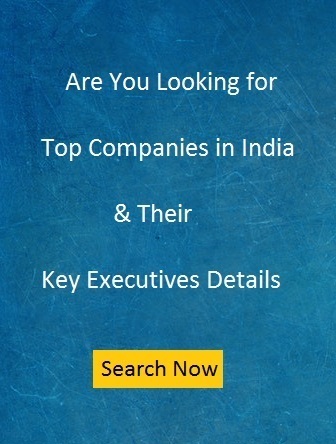 Step 2- Map Accounts & Identify Key Internal Players – Now find out the decision makers for the company. Step 3- Content Creation for Messaging- Create the content for messaging purpose. Step 4- Determine Optimal Channels – Determine the channels to deliver that message. Step 5- Execute Targeted & Coordinated Campaigns- It is important to execute targeted and co-ordinated campaign for the maximum impact. Step 6-Measure, Learn and Optimize- It is very important to measure, learn and optimize results for the future strategy. Nice article . Actually real good sales person work on Account Based Model only.. He first tries to connect , send mail , reconnect and continuously keep himself connected so that when ever the need arise , he get the sale. It is very good method to increase B2B sales. Many times, we put lot of money to grow B2B sales. But it may go waste because of opting very broader approach. This targeted approach will surely give you good results. 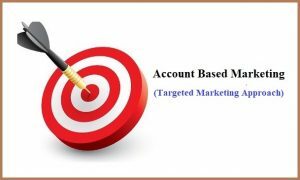 Account based Marketing is helping lot of industries these days in increasing their revenue drastically as compared to those who are dependent on only Inbound Marketing. Organizations who are seeing greater benefits are from IT, Consulting & Service industries. It is one of the best strategies used jointly by Sales & Marketing team for better campaigning & customer engagement for clients/accounts leading to generate more business. account based marketing is helped in a lot of industry.